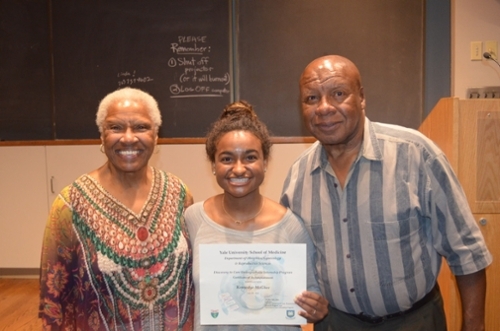 Before starting her junior year, Kennedye McGhee, a biomedical sciences, pre-med major at Auburn University in the College of Sciences and Mathematics (COSAM), spent her summer researching a specific mutation for ovarian cancer at Yale University. Specifically, she was researching the reactivation of mutant p53 in ovarian cancer cells to induce apoptosis. 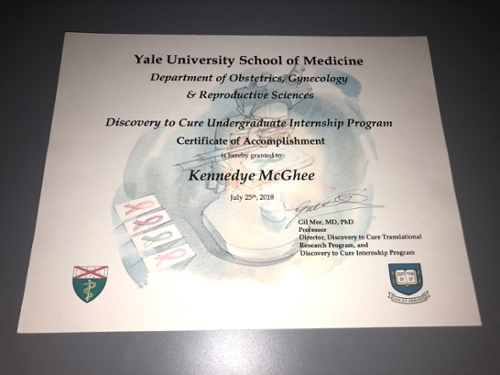 She was one of just four undergraduate students to participate in the Discovery to Cure Undergraduate Internship Program at the Yale University School of Medicine, Department of Obstetrics, Gynecology and Reproductive Sciences along with 32 high school students. Not only did she gain insight from lectures of professors discussing their current research, but she was also able to perform experiments with the Mor Lab to further her research project during her time at Yale School of Medicine. She was also able to develop technical and conceptual skills that she will take on with her as she continues on her journey to becoming a medical scientist. “I learned that ovarian cancer is the most lethal of all gynecological cancers, and it motivates me to continue my research and education to help women,” states McGhee. 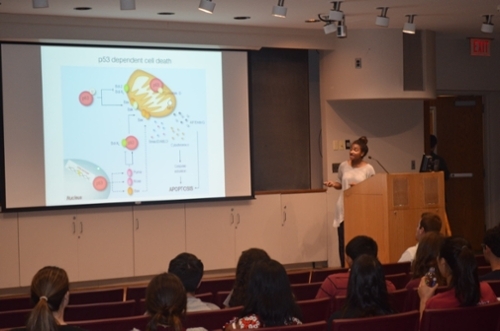 Working with a specific compound, McGhee compared and contrasted treated and non-treated ovarian cancer cell lines to show any impact on the reactivation of mutant p53 to induce apoptosis during her internship. At the end of the program, she gave a presentation of her research to the participants and professors at Yale University. She anticipates the work from the entire team to be published in a peer-reviewed journal in the future and looks forward to the research becoming part of a clinical trial. 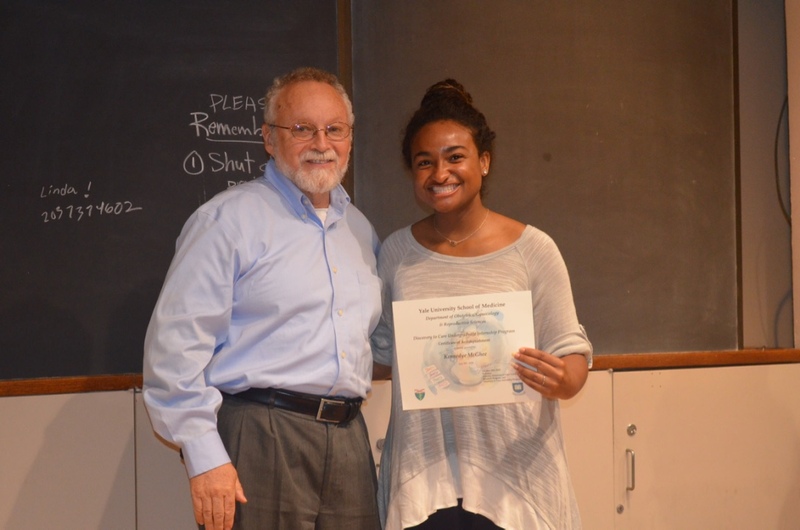 Kennedye McGhee proudly accepting her certificate from the creator of the internship program, Dr. Gil Mor, at Yale University. Kennedye McGhee presenting to internship program participants and staff at Yale University. Discovery to Cure Undergraduate Internship Program Certificate from the Yale University School of Medicine. Kennedye McGhee with her great-aunt, Hettie Corker and her grandfather, Raymond McLoyd.